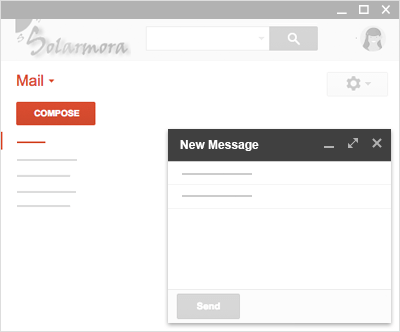 Once you have logged in to your Gmail account you can begin sending emails with the click of a button. In the left sidebar, click . A new email opens near the bottom corner of your Gmail window. Choose a window size that’s right for you using the buttons in the upper corner of the compose window. Just start typing to compose your email. Emails you’ve started writing, but haven’t sent, are automatically saved in Drafts on the sidebar. Use Shift + to pop-out so that you can resize or move around your screen.